This Wing is being headed by Mr. Khurram Aziz Shaikh working as Secretary SIDA. 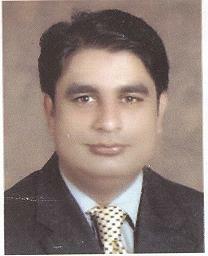 He did MBA from SZABIST, Karachi, Advance Diploma in Project Management and Supply Chain Management from PIM, Karachi. He is playing key role in facilitation, Coordination and logistics. Increasingly the need is felt within the organization of SIDA to improve on the internal administration, document handling and administrative support to the technical wings. Therefore the post of Office Manager and other support staff have been introduced. In case of absence of Secretary, the senior manager of the wing would act as secretary and head the wing subject to the approval of BoM. The role of this wing will be that of a General supporting wing facilitating the working of the organization as a whole. The need is felt of a stand-by legal advisor within SIDA. All legal matters including with court, legal advises etc would be addressed by this Wing including hiring, promotions, disciplinary actions and firing.